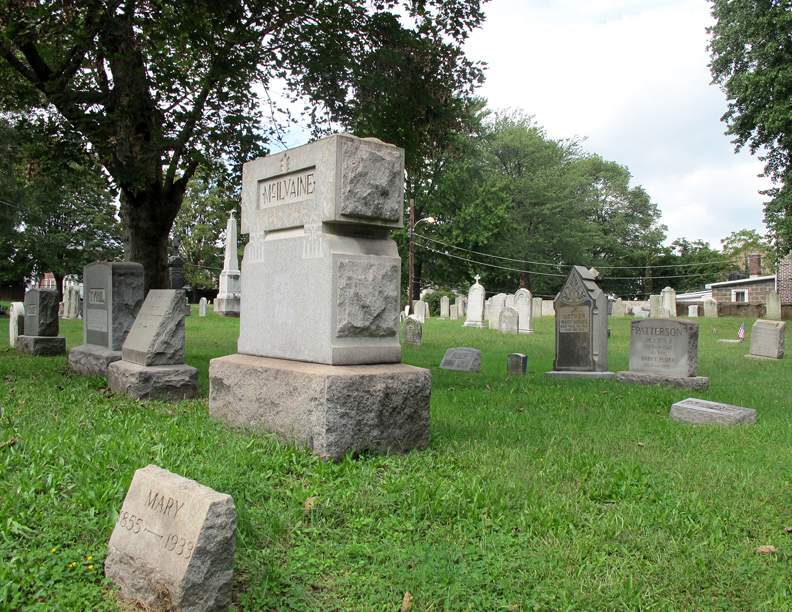 The old St. Mark cemetery located behind the church and rectory is the resting place of many parishioners of Saint Mark, including more than 30 men who served in the Civil War. The grave of Michael Dougherty, who was awarded the Congressional Medal of Honor, can be found here. Private Dougherty was confined in various Confederate prisons including the infamous Andersonville Prison in Georgia. Of the 126 men in his regiment who were imprisoned there, only Dougherty survived. He kept a prison diary, a copy of which can be found in the Local History Collection of the Grundy Library, located nearby on Radcliffe Street.